Maybe you'll decide to change its color, maybe it is because of wear issues, scratches from moving furniture around the home etc. Make an Informed Choice! Click here for an engineered vs solid comparison! A good engineered flooring should be versatile. Out of all the wood flooring products on the market, engineered is the most versatile and the best engineered wood flooring should always have this quality. Formaldehyde, a component in the adhesive used by some flooring manufacturers, is a known VOC, which means it will slowly evaporate in the air putting you and your family in harm's way? Before signing the contract, make sure your flooring contractor provides formaldehyde free engineered flooring. It will save you a lot of headaches. Literally!!! Your Family's Health Is Important! Click Here to See Your Green Flooring Options. Protect Their Health and The Environment! 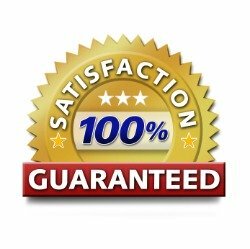 Warranty it's important and a good product will always have a strong warranty behind it. Click Here to Contact Us for a Free, No Obligation, Estimate! Make sure your floor meets these requirements, hire a qualified contractor to install it and you will have the long lasting, beautiful floor you've always dreamed about. 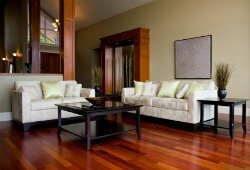 See below for what makes our process unique as long as many other Chicago wood flooring articles. Understanding how and what to choose, for your floor will determine the length and quality of your wood floor for many years to come. We understand all this and put together a series of articles that will help you make an informed decision. Please click here to browse through them. Learning the insights of this business will give you the edge in your relationship with different vendors or flooring contractors.